Melanie Calvert is an author and screenwriter. Black cockatoos high in the trees. Melanie is the author of Freycinet, a psychological thriller novel, and the true-life crime book What Happened to Nancy and Victoria? As a screenwriter, researcher and script editor, Melanie works for Vicki Madden of Sweet Potato Films (the creator of The Kettering Incident), Geoffrey Wright (the creator of Romper Stomper), and International TV and Film Production company JIA Films, on feature films, TV and web series. Melanie is available for freelance work. 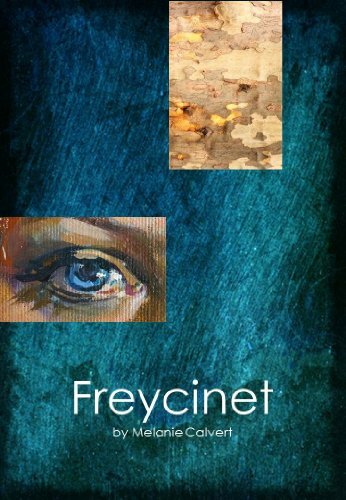 Freycinet is about obsession, love and cruel murder in the Tasmanian wilderness. In Freycinet, Ginny O’Byrne is terrified by gory, clairvoyant visions of two murdered young women. The next morning two women have disappeared into the untamed Freycinet wilds. Ginny joins a massive search and rescue mission, including her suspicious-acting fiancé, Julian, to immerse herself in an atmosphere that is both eerie and increasingly threatening. Tasmania’s Beaumaris Beach Mystery – What Happened to Nancy and Victoria? The mystery of what happened to 26-year-old German tourist Nancy Grunwaldt and 20-year-old Italian tourist Victoria Cafasso remains unsolved two decades on. Nancy disappeared without a trace, while Victoria was found brutally murdered, stabbed over forty times, on Beaumaris’ lonely but beautiful beach. This book reveals previously unpublished details about the two young tourists’ fates. Find out where you can get Freycinet and Tasmania’s Beaumaris Beach Mystery. Or connect with Melanie Calvert on Google+. I have just read this book from cover to cover, I could not put it down. It had me on a roller coaster ride from the very beginning. A great setting with a facimating ending. A must read for all that enjoy a good mystery with a twist at the end. Thanks so much Vicki! So pleased to hear you enjoyed it. All the best, Melanie. Thank you, Susie! I really appreciate your feedback. Thanks so much for taking the time to read my book and to leave your lovely comments. It really brightens my world (and makes me all teary!) All the best, Melanie. Hi Mel, Congratulations! I’ve just finished reading your book by the fireside, having bought a copy in downtown Devonport for Peter for his Christmas present, and I must say it’s been a most excellent, “gripping read” all the way through. What a rare and exceptional talent you have for story-telling! So of course Peter will be receiving it second-hand now (complete with my coffee-stains and some thoughtfully turned pages), but rest assured I won’t spoil the hair-raising surprise-ending for him. I’ve also ordered a copy for David H. in Melbourne, as I know he’ll enjoy it too. Do keep up your creative writing, Mel. I have no doubt all your family and friends in Tasmania will be psychoanalysing this unusual murder mystery for many years! John R.Wilson, Daisy Dell.